HWLH News Letter for June 2017 - Issue #0043 -Healthy Breakfast Ideas - Great Ways to Fuel Your Day. June 2017 - Issue # 043 - Healthy Breakfast Ideas. Great Ways to Fuel Your Day. Most people I know enjoy eating breakfast before starting the day (I sure do). So here are some great healthy breakfast ideas to help start up our days. 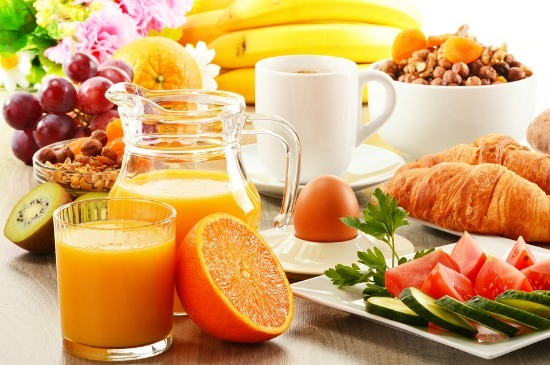 Of course breakfast choices may differ largely depending on the amount of energy we need. The days that are spent working at a desk compared to doing physical work all day may help you choose the size and type of breakfast you’ll need. When it comes to being the healthiest breakfast choice, this next suggestion really is a top choice. If you guessed fresh fruit, you’re absolutely right. 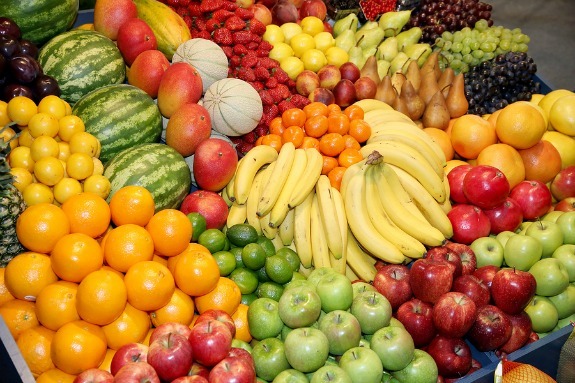 Fresh fruits are one of the best foods to consume. They all have something to offer. Many are filled with a variety of vitamins, minerals, nutrients, fiber, water and also sugars, but healthy sugars. The best part is that fresh fruit takes the least amount of time and energy to digest while giving you back many health benefits in return. Fruit should always be eaten on an empty stomach or 20 minutes before any other food. The reason for this is that fruit digests very quickly and if we mix it with other foods, the fruit will get digested slower. Why is faster digestion so important. Well, simply put, slow digestion also makes our digestive track a safe haven for food to ferment and putrefy allowing toxicity to form and this totally hinders the weight loss process. Faster digestion follows the food combining theory. For more information on Food Combining click this link. Blend ingredients in a blender until smooth. Blend all ingredients in a blender until smooth. Combine all ingredients in a blender and blend till smooth. I tend to use bananas in a lot of these recipes only because I love the sweetness they offer, how filling they are and the high levels of potassium they provide. For the best smoothies always use fruit that has fully ripened. For more juicing recipes and info, click this link. There are a long list of protein shakes offered in pharmacies, superstores and on the internet. Take your time before choosing what best suits your needs. Since as far back as the caveman times, man has loved eggs. Today, eggs are loved worldwide by millions of people for a few reasons. 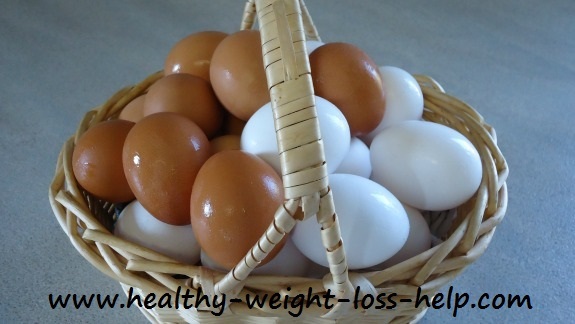 Eggs are healthy, we know where they come from, they're easy to prepare, are reasonable in price, and are very versatile. You can even choose whether you want to eat the whole egg or just the whites (or yolks) depending on your dietary needs. When it comes to egg recipes, there is literally an endless supply of ideas. Here are just a few ideas in general. Scrambled eggs with beans is an amazing breakfast packed with fiber, nutrition and protein. A serving of quinoa served with your choice of eggs, avocado and a slice of protein such as salmon or chicken. Not all Carbohydrates are Bad. Why are carbohydrates so important and why we should eat them? Without getting too scientific, quite simply put, carbohydrates are the main energy source for our bodies and our brains. They not only provide energy but also provide nutrients and help protect our muscles because carbohydrates are the first source of energy are bodies use and when there are no carbs then the protein from our muscles will be used up. So clearly carbohydrates are very important part of a healthy diet. 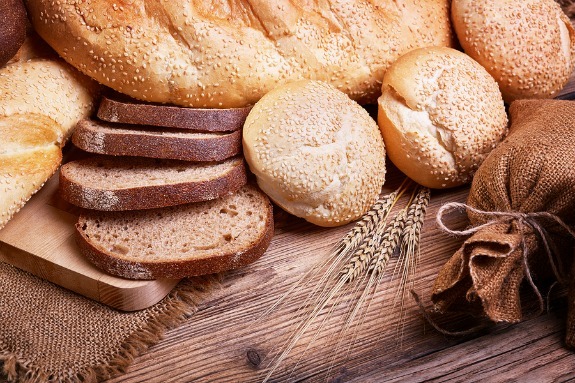 When choosing carbs try to avoid things like dough-nuts and sugary cakes. Instead, stick with healthier choices such as banana bread, bagels, healthy style muffins (such as bran, carrot, blueberry) and whole wheat breads. Even healthier carbohydrates come from fruits and vegetables. Not all carbohydrates are beneficial, so it's important to choose the healthier ones and try to avoid the bad ones. Other breakfast ideas which can provide carbs are cereals, porridge and oatmeal. 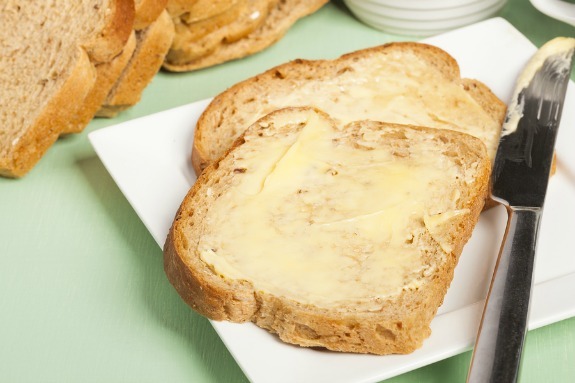 Toast has to be one of the most popular carbohydrate breakfasts still today. Thats because whether you have a sweet or salty tooth you can put just about anything on a piece of toast. Yogurt, solo or mixed with nuts. Apple slices and peanut butter for dipping. Breakfast bars, protein bars, oatmeal bars, energy bars. 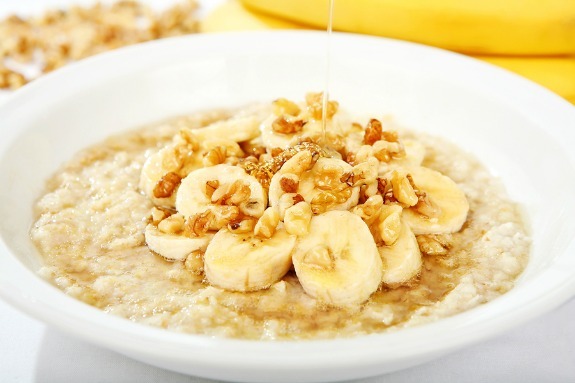 Picture above is oatmeal with sliced bananas and nuts drizzled with honey. So make a little time for yourself and enjoy breakfast before starting the day. If you have an opinion or would like to share a story with us we would love to hear from you. Use our Contact Us page - or our Weight Loss News page (Your Story Counts).